The SailBot app will identify the SailBot Master and connect to it, no pairing codes required! As long as an device that is connected stays within range it will maintain the Bluetooth connection. Simplicity is a good thing, but it can sometimes cause confusion when you have a group of people who are excited to give SailBot a try. SailBot connects to the first device that asks to connect and it will not disconnect unless you turn off the SailBot or turn off Bluetooth on the device that is connected. And it can only connect with one device at a time. So play nice with each other and take turns connecting and trying out the horns. If your device won’t connect to SailBot, make sure that it is not intentionally or unintentionally being hijacked by someone connecting without your knowledge. 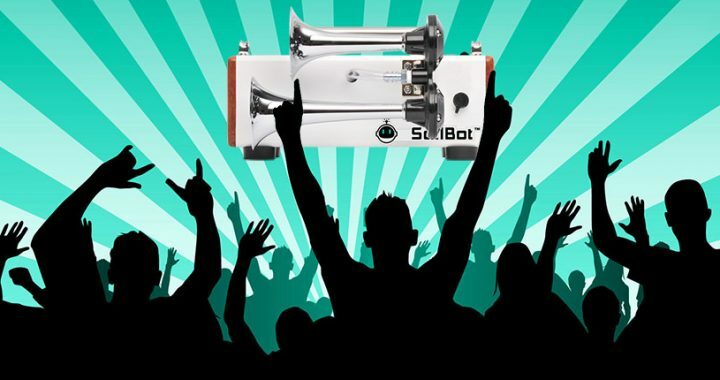 Simply turn SailBot off, then back on using the power button on top of the SailBot Master.